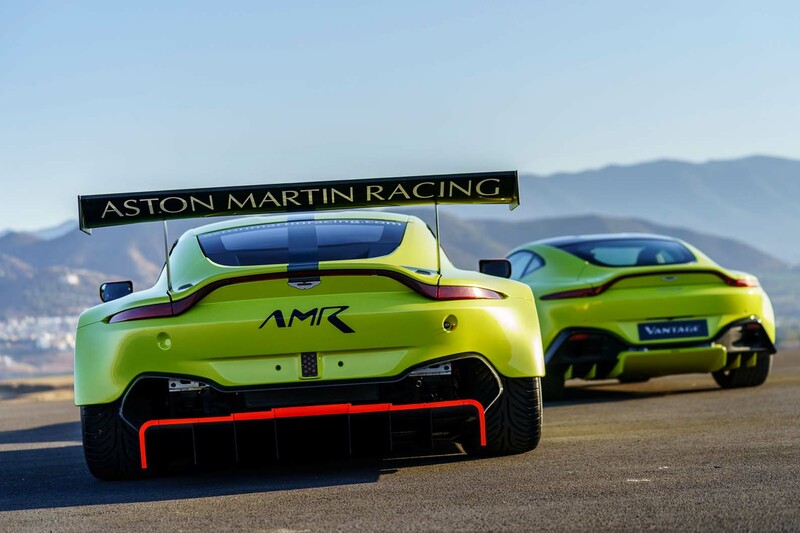 Aston Martin Aston Martin boss Andy Palmer said that it was vital to develop the racing version of the new Vantage alongside the road-going version in order to demonstrate transferable technology between the two. The firm revealed the revamped Vantage earlier this week, alongside the Vantage GTE racing version. The latter will compete in the Le Mans 24 Hours and FIA World Endurance Championship in 2018. Aston has now released a short video showing how the race version was developed alongside the road car over the past 18 months. “We decided to replace the current Vantage road car and – since it’s really necessary to take race technology from the track to the road and from the road to the track – it’s really important that we design both simultaneously,” said Palmer. The GTE class machine will replace the old Vantage race car that has been run since 2012, taking 37 victories, including a pair of Le Mans class wins. The Vantage GTE has been developed by the Prodrive-run Aston Martin Racing squad, which has optimised the powertrain, chassis and aerodynamics of the new road car. Aston says key goals included making the car easier to control on the limit, to boost its usability for gentleman drivers in the GTE Am class, and refining the AMG-developed four-litre turbocharged V8 from the road car. The new Vantage GTE runs on Ohlins suspension, with bespoke Michelin tyres and a new braking system from Alcon. The team has already completed more than 8000 miles of testing, including a 30-hour test at the Navarra circuit in Spain. The test programme included British racer Darren Turner and Jonny Adam, who will stay with the team next year alongside Danish drivers Nicki Thiim and Marco Sørensen. Brit Alex Lynn, who has served as a development driver for Williams in Formula 1, will join the team. The next World Endurance Championship is set to be a ‘super-season’ spanning 2018 and 2019, in order for the series to switch to a winter calendar format. The first race will be at Spa-Francorchamps in Belgium on 5 May. Next year’s Le Mans 24 Hours will be held on 16/17 June. in side profile. The view from the front is not good. The first car in history that Khan might actually be able to improve the looks of.